Contender Home Entertainment will release Steven Moffat's modern-day adaptation of Robert Louis Stevenson's classic novella, Jekyll, on DVD on July the 30th (the Monday after the six-part series finishes on TV). The BBC series also features Coupling's Gina Bellman, Denis Lawson, Michelle Ryan and Meera Syal. The two-disc set will feature commentary tracks on two episodes (on episode one, by Moffat, Douglas Mackinnon and Elaine Cameron, and on episode six, by Beryl Vertue, Matt Lipsey and Gina Bellman); and two featurettes: The Tale Retold (a forty-five minute look behind-the-scenes), and Anatomy of a Scene (a fifteen-minute look at a composite scene from Episode 2). It's been a while since we've heard from Australian cult TV specialists Umbrella. 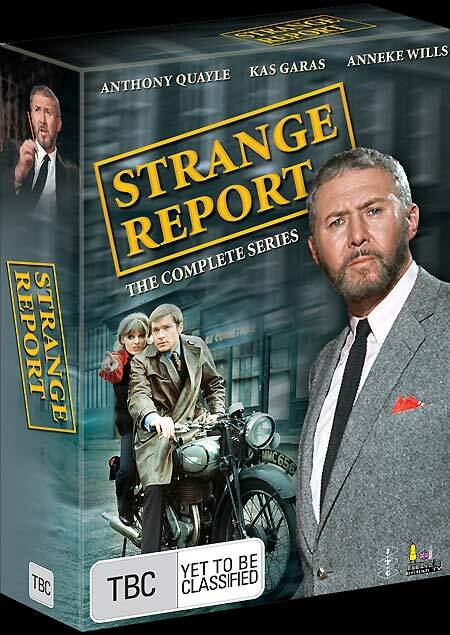 They're releasing ITC favourite Strange Report as a special edition five-disc box set in August. 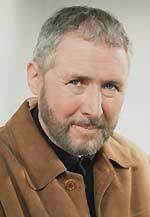 The series starred Anthony Quayle as Adam Strange, a criminologist who's consulted by the authorities in baffling cases. It also featured Kaz Garas as Strange's dashing assistant, Hamlyn Gynt, and former Doctor Who companion Anneke Wills as - er - Strange's flighty next door neighbour. Commentary tracks on three episodes (by Anneke Wills on Covergirls; by director Peter Duffell and guest star Jane Merrow on Racist; and by guest star Derren Nesbitt on Swindle); new interviews with Anneke Wills; original episode and series trailers; extensive image galleries from the ITC Archives; insert reprint of original ITC publicity booklet; textless material; alternate US footage; original commercial break bumpers; restoration featurette; complete bonus episode of The Saint (The Helpful Pirate) introduced by guest star Anneke Wills; and production notes. The series will be presented uncut, from re-mastered source materials. Release date and RRP are TBA. A Roobarb's DVD Forum thread about the series can be found here. News has been thin over the bank holiday weekend, so there's time to catch up with a few bits and pieces that slipped through the net recently. The Hours and Times, the short film about Brian Epstein and John Lennon's 1963 trip to Barcelona, has been re-scheduled. It was due on sale next week, but has now been postponed to August the 27th. More information can be found in the News entry for the 3rd of April. Metrodome will release Ronald Neame's Tunes of Glory, which stars Alec Guinness and John Mills, on July the 23rd, and the 1988 thriller Pin, which features Terry O'Quinn, on July the 2nd. No technical details were available. Neither was there any mention of bonus features (the Anchor Bay US disc of Pin features a commentary track, and Criterion's Tunes of Glory features a couple of interviews). Sony will release a Special Edition of Eli Roth's horrifying Hostel on DVD on June the 18th. Takashi Miike and five new featurettes: Hostel Dismembered, An Icelandic Meal, Music and Sound, Set Design and Special Effects. The RRP is apparently £12.99. On the advice of correspondent Duncan Taylor, I've taken a close look at the two The Vampire Lovers discs (the US disc from M-G-M, and the UK one from ILC), and amended the Hammer DVD Guide accordingly. I've also added frame grabs from the two discs, to illustrate the differences in framing.